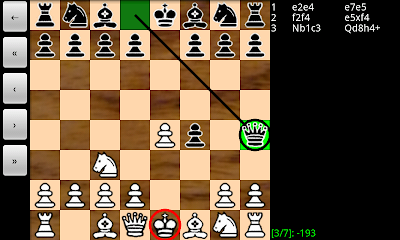 It is minor, but the latest release 2.4.3 of Chess for Android now shows a red circle around the king as an in-check (or mate) warning when the move coach is enabled. A sample screenshot is shown below. This version also improves UCI engine unloading on exit. The adventure that started in Indiana in 1996 and continued in California in 1998 reached a very special point today. I received my U.S. Citizenship. 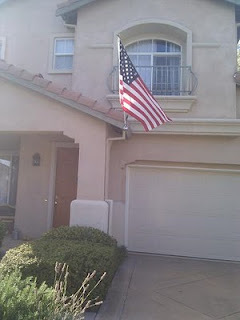 Thanks, America, for being my home for so many years and welcoming me into the American family. Ability to install application on SD card Moved navigation buttons downFew improvements to UCI engine supportTo verify that UCI engine support works for third party engines as well (not just for BikJump), I downloaded sources of ZCT0.3.2500 (by Zach Wegner) and Crab1.0Beta (by Tord Romstad, Marco Costalba, Joona Kiiski, Adam Kleng) and compiled these "natively" for Android. Importing and playing the engines work fine. As before, instructions on setting up an UCI engine are given at UCI for Android.